This threadless (push pin) end features a star like pattern with synthetic white opal. It's 18g set in 14k gold. Beautiful way to switch out your jewelry ends! 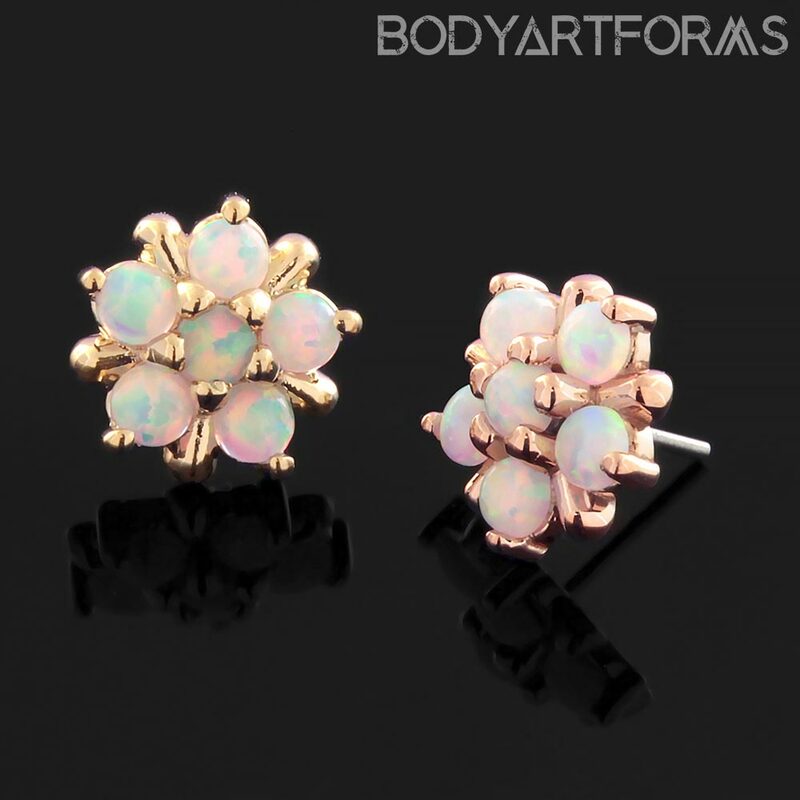 This end has synthetic white opal petals with a synthetic white opal center. The settings are made with solid 14K gold or rose gold. The opal inlays measure 2mm and the external diameter measures approximately 7mm.